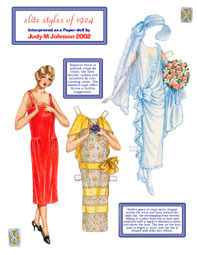 Paper dolls go west in our lead article by Charlotte Whatley and Marilyn Henry with lots of classic paper dolls including Roy Rogers and Dale Evans, Gene Autry, Annie Oakley, square dancers, western settlers, Native Americans, cowboys and cowgirls. 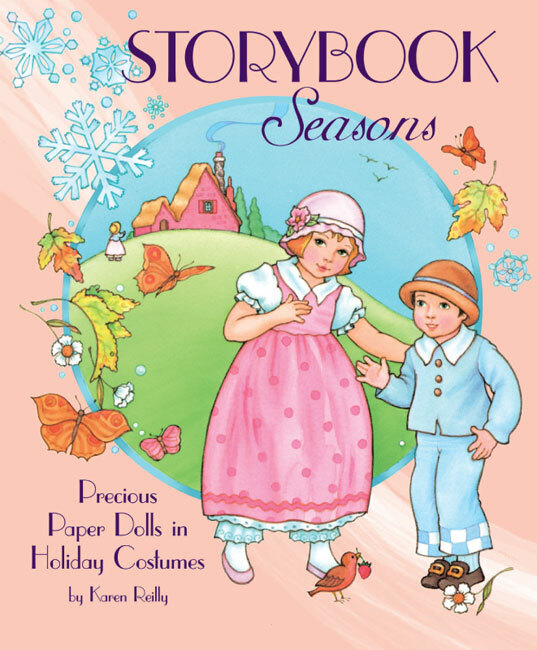 Includes full color collectible cowboy paper doll by Charlotte Whatley. 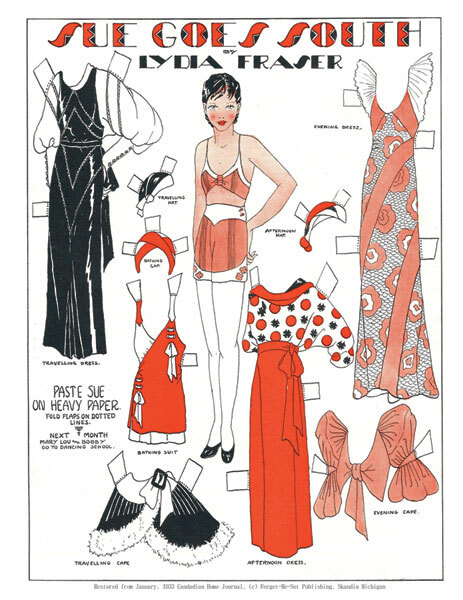 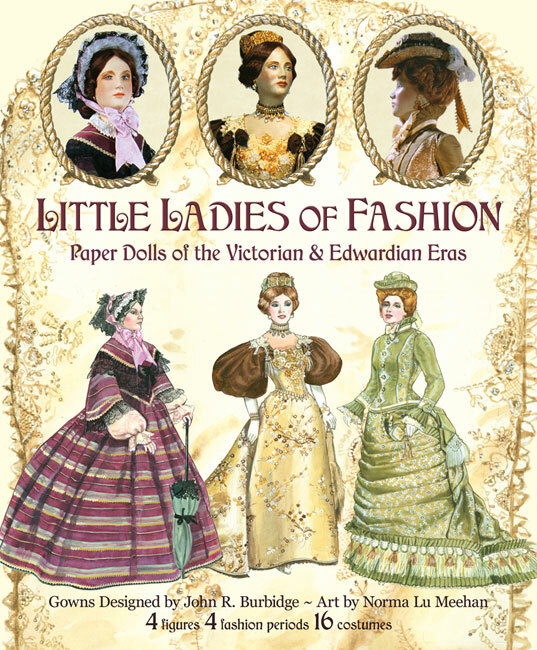 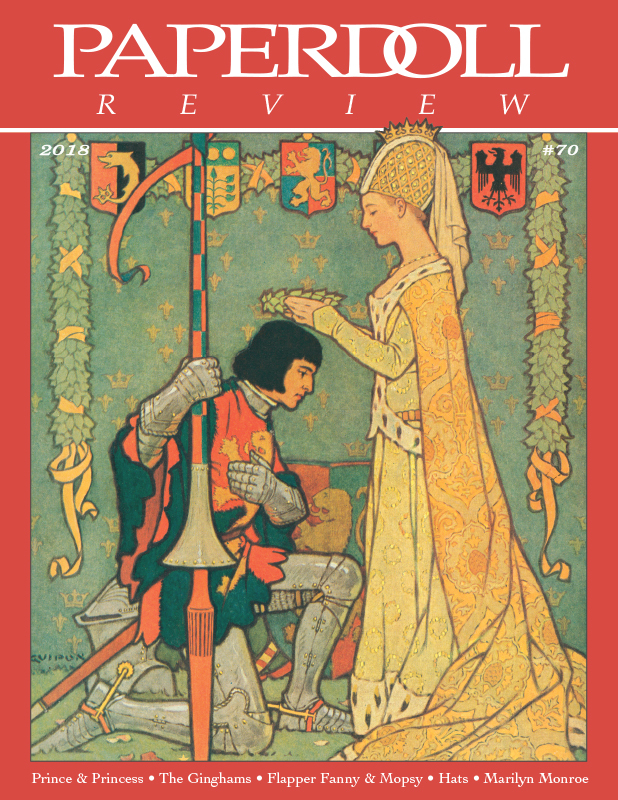 Gina Clarke talks about her favorite Magic Mary paper dolls, Evie Fullingim shares Betsy McCall memories, and Marilyn Henry shows cute little girl paper dolls that grow up. 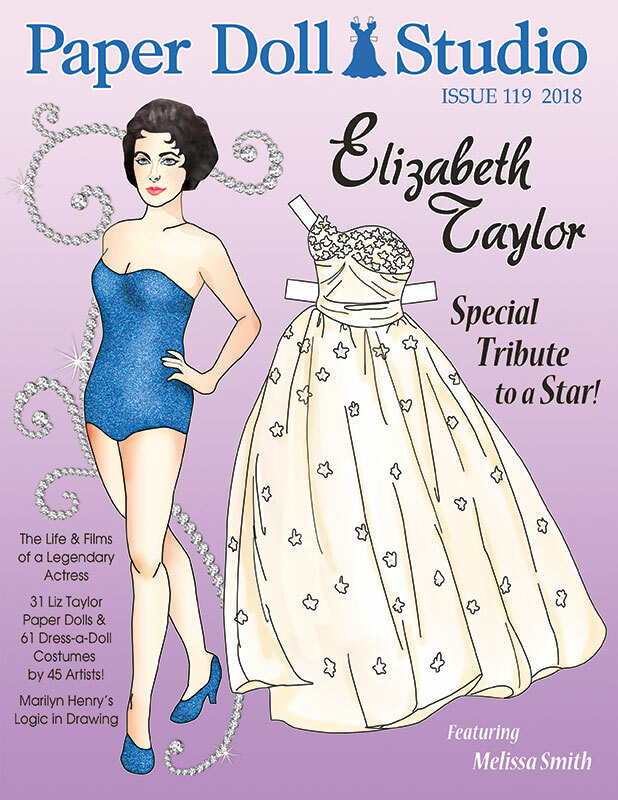 Also, Marilyn gives us a showgirl extravaganza with a feature on the movie and paper doll book, Ziegfeld Girl. 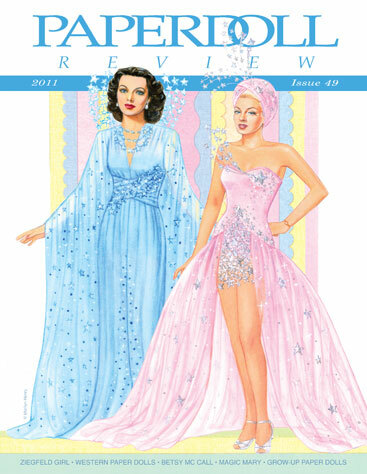 Includes full color paper doll of Judy Garland.